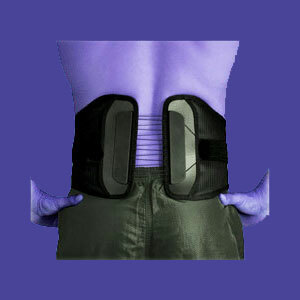 Do you use a lower back brace? Do you know that you are probably being scammed? This is because virtually all lower back braces are useless devices that provide no benefits at all, except by the possible power of mindbody placebo. 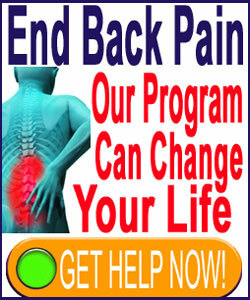 The internet is chock full of ridiculous and expensive back braces that make remarkable claims. However, when they arrive, patients find them to be nothing more than Velcro belts or large rubber bands, sometimes containing crude TENS devices, pressure point mechanisms or magnets. What a laugh! As an advocacy organization, we have been trying to have these products removed from the consumer marketplace for over a decade. Being that these goods are manufactured in countries without effective (if any) laws governing medical devices and marketed on websites hosted in countries that scoff at all proper societal obligations to law and ethics, there is little we can do from an official standpoint. However, we can certainly raise awareness and that is exactly the goal of this article, as well as the others we have written over the many years since our inception. This article intends to debunk the lies and mythologies of lower back braces. We will detail why they do not work and why so many patients insist that they could not function without their trusted brace. Let’s try to be positive to begin this section and make a note that some lower back braces might be both useful and indicated for specific types of painful conditions. Scoliosis braces are certainly effective for preventing the progression of curvatures in growing spines and do not qualify to be lumped into the junk described throughout this article. Likewise, for patients with particular types of injuries or postoperative muscular weakness, some types of back braces might be useful for a short time during the rehabilitation process. These will be provided for temporary use by a surgeon or physical therapist. All others can be discounted and grouped together for the sake of this essay. Any back brace that is marketed towards herniated disc, degenerative disc disease, arthritis, stenosis, spondylolisthesis, facet syndrome or pinched nerve patients is a waste of time. None of these devices will limit spinal movement, support the spine or otherwise act positively on the spinal anatomy and are therefore completely useless. Back braces that are marketed to general lower back pain patients fall into the same category and have never shown any benefits when evaluated by objective and proper medical research techniques. Additionally, the common add-on features, such as acupressure beads, TENS units, magnets or other options make these devices even more ludicrous, were it not for the fact that they exist to literally cheat desperate and pained people out of their money. This is not to say that these modalities can not be effective, but in the way they are used in these cheap rip-off products, they stand no hope of providing any type of relief barring that enacted by placebo. Most lower back braces make a variety of impressive claims. They say that wearing the device will reduce pain and increase functionality. Lie. They say that the device can cure back pain. Lie. They say that the product is backed by “world-class expert research”. Lie. The fact is that doctors who shill for these products are bottom-feeders who have usually lost their ability to practice medicine due to criminal negligence, disciplinary action or lawsuits. Others are just so greedy that they will endorse garbage instead of elevating themselves to that of a true medical professional. Some devices compare themselves to professional medical care practices and say that they are just as effective. This is the truth. However, not because the product is useful in any way, but instead, because most medical remedies fail, as well, since they are just as guilty of being false, but in different ways detailed elsewhere on this website. Finally, these devices often use the economic card to convince patients to purchase them. “Only $200 and no recurring payments ever needed…” Great, if the product worked. BUT, spending $200 on a piece of wide Velcro or a giant rubber band will not sit well with any consumer with even a single functioning brain cell… No one likes to get ripped off. So do yourself a favor. Save your money. If you support these rip off artists, guess what? You will get ripped off and you deserve it. What a shock! Back braces marketed on the internet and on soulless “sell anything” television networks are not medical devices. They are sold as “novelty items” or “health and beauty aids”, making them free to claim just about anything and face no retribution from official governmental regulatory agencies. Additionally, most are manufactured and marketed in channels where established consumer protection laws do not exist or apply. In essence, the companies that produce these goods know full well that they are scams and could not be manufactured in a country with real laws and protections. Therefore they set up their business in places that will allow them to do whatever they want. Unfortunately, what they want to do is scam people, instead of make products that could actually be helpful. Support good products and well-intentioned companies. Don’t help facilitate the dumbing-down of our collective humankind by paying these people to rip you off. It is that simple.